You'll earn 3% and 2% cash back on the first $2,500 in combined choice category/grocery store/wholesale club purchases each quarter, then earn 1%. Choice categories are Gas (default), Online Shopping, Dining, Travel, Drug Stores or Home Improvement/Furnishing and may be changed once per calendar month. Your Preferred Rewards bonus is based on your tier and is earned on every purchase. This example is for illustrative purposes only. Actual points earned will depend on individual purchases and your selected Choice category. Your earn can be tracked in Online Banking by expanding the transaction in your online statement. 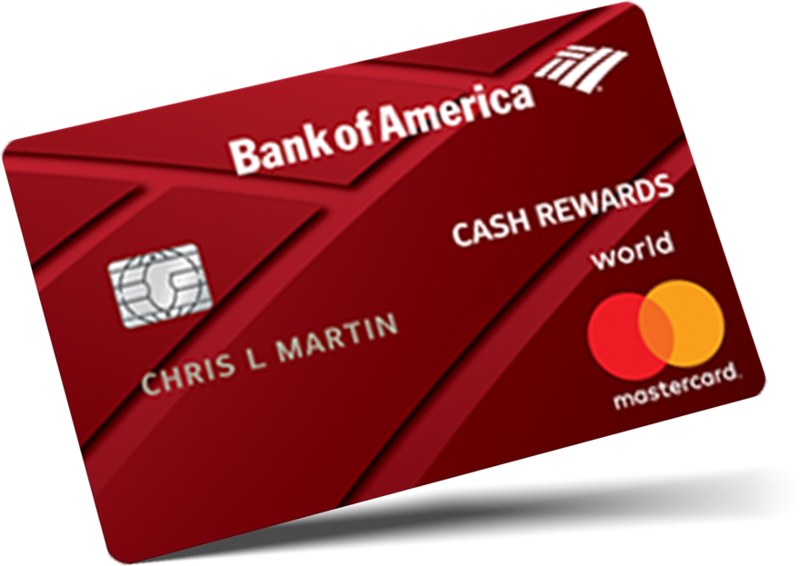 Your Preferred Rewards points bonus for your tier is earned on every purchase you make, and can be tracked in Online Banking by expanding the transaction in your online statement. For illustrative purposes only. Actual rewards earned will depend on individual purchases. Not enrolled in the Preferred Rewards program? 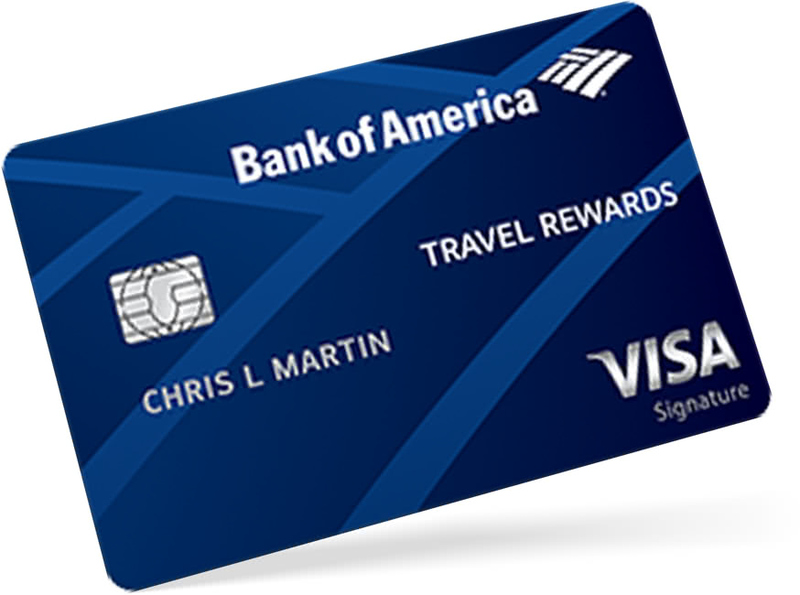 Most Bank of America® branded consumer credit cards (such as the Cash Rewards, Travel Rewards, and Premium Rewards® credit cards) are eligible to receive the Preferred Rewards bonus, as long as the card account is open and in good standing. 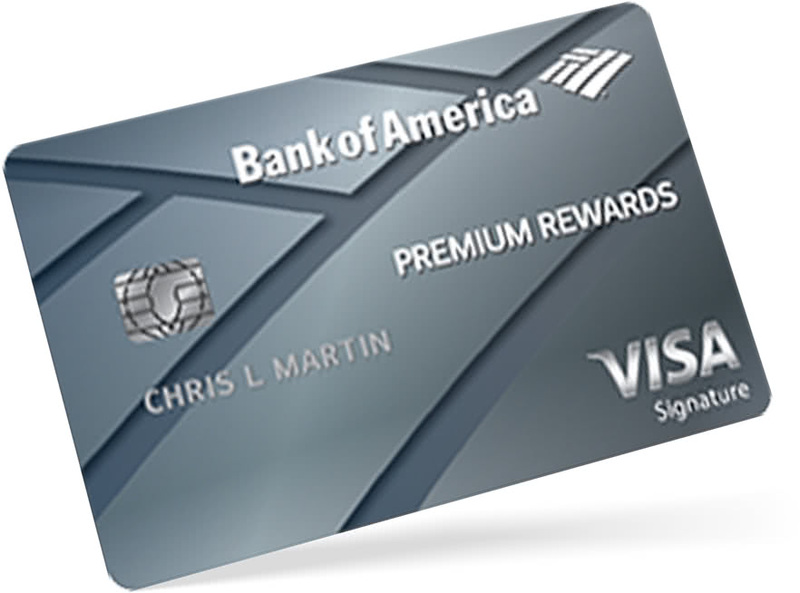 If your credit card receives the 10% customer bonus, the Preferred Rewards bonus will replace the 10% customer bonus. This list is subject to change without prior notice. 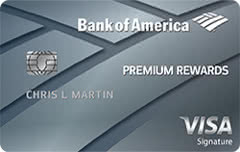 You are eligible to enroll in the Preferred Rewards program if you have an active, eligible Bank of America® personal checking or Bank of America Advantage Banking account and maintain a three-month average combined balance in your qualifying Bank of America deposit accounts and/or your qualifying Merrill Edge® and Merrill Lynch® investment accounts of at least $20,000 for the Gold tier, $50,000 for the Platinum tier, or $100,000 for the Platinum Honors tier. The combined balance is calculated based on your average daily balance for a three calendar month period. Bank of America Advantage SafeBalance Banking accounts count towards the checking account and balance requirements, and receive benefits. Certain benefits are also available without enrolling in Preferred Rewards if you satisfy balance and other requirements. 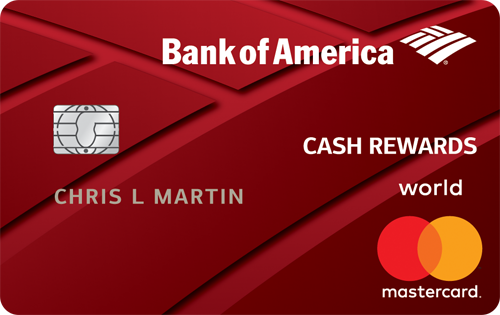 For details on employee qualification requirements, please call Employee Financial Services or visit the Bank of America intranet site. Banking, mortgage and home equity products are provided by Bank of America, N.A., and affiliated banks, Members FDIC and wholly owned subsidiaries of Bank of America Corporation. Bank of America, N.A. Equal Housing Lender Credit and collateral are subject to approval. Terms and conditions apply. This is not a commitment to lend, Programs, rates, terms and conditions are subject to change without notice. Please review the Personal Schedule of Fees also available at your local financial center. Mastercard is a registered trademark of Mastercard International incorporated, and is used by the issuer pursuant to license. 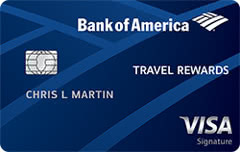 Visa and Visa Signature are registered trademarks of Visa International Service Associate and are used by the issuer pursuant to license from Visa U.S.A. Inc.
Merrill Edge, Merrill Lynch, the Bank of America Preferred Rewards logo, Bank of America and the Bank of America logo are registered trademarks of Bank of America Corporation.